Responsive Web Design (RWD for short) is a way of creating a website that provides optimal viewing experience, easy navigation and readability on any size device such as tablets and cell phones. This is done with fluid design that allows objects and content to move and resize depending on the size of the device being viewed on. This is mostly all done with CSS rules based on a fluid grid concepts that allow for page element sizing based on relative units like percentages, rather than absolute units and values. Flexible images can also be used in relative units so that to prevent them from being rendered outside of the viewable container. 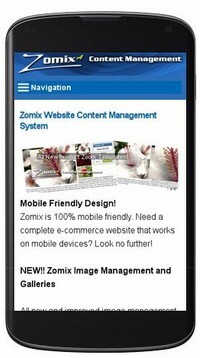 Google has also announced that they will be ranking sites based on the ability to be "Mobile Friendly" as they call it, which a Responsive Website certainly is. If want to maintain or increase your ranking with Google, this is a must for any site! A good example of one of a responsive site is this one, you can get an idea of what it's all about just by making your browser smaller here. Although this is only part of the magic, to see it all, visit us on your cell phone! Racine-Web Design can help you move into this new world of Responsive web design. Give us a Call Today!